Aldo Tambellini was born in Syracuse, New York in 1930, his father from Sao Paolo, Brazil, his mother from Italy. He was taken to Italy at the age of eighteen months where he lived in Lucca (Tuscany). At the age of ten, he was enrolled in art school in Lucca. His neighborhood was bombed during WWII; twenty-one of his friends and neighbors died and he miraculously survived. In 1946, Aldo returned to the United States. With a full scholarship at Syracuse University he received a BFA in Painting, ‘54 and a Teaching Fellowship at the University of Notre Dame, MFA ’59. In 1959, Aldo moved to New York City’s Lower East Side. He founded the underground, “counter-culture” group, “Group Center,” which organized alternative ways and non-traditional presentation of the artists’ work to the public. He pioneered in the video art movement in the late 60’s. In 1965, he began painting directly on film beginning his “Black Film Series” of which, “Black TV,” (made using both film and video) was the winner of the International Grand Prix, Oberhausen Film Festival, 1969. Simultaneously, Aldo began a series of “Electromedia Performances” which organically brought together, projected paintings, film, video, poetry, light, dance, sound and live musicians. He founded the Gate Theatre, the only daily public theatre showing avant-garde independent filmmakers and in 1967, he co-founded with Otto Piene, the Black Gate, a second theatre which presented live multi-media (Electromedia) performances and installations. From 1976 to 1984, Aldo was a Fellow at the Center for Advanced Visual Studies at the Massachusetts Institute of Technology. There he conducted workshops and organized with “communicationsphere” a series of international interactive Media Communication Projects. Since ’84, he has concentrated on poetry and performing his poetry with music and video projection. In 2005 Aldo produced a digital film, “Listen” which incorporates his anti-war and political poetry, animation/video and film clips. This film won First Place in the “Short Experimental Film by an Independent Filmmaker” category at the New England Film Festival in October 2005 and at the Syracuse International Film Festival in 2006. In 2007 Aldo was awarded the “Lifetime Achievement Award” from Syracuse University at the 2007 Syracuse International Film Festival. The same year he received the Keys to the City of Cambridge from Mayor Ken Reeves in recognition of his contribution to the cultural environment of Cambridge. 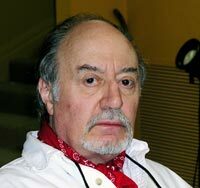 In 2010 Aldo was awarded a Gold medal from the Italian Government, Lucchesi Nel Mondo Organization, in recognition of his lifetime achievement in the Arts.